Globalization opens trade and business opportunities in Thailand. With tourism as its mainstream, it is not surprising that everyday, a lot of foreign tourist come to visit Thailand. So interracial relationships are becoming common. Coming to Thailand to marry a Thai woman, or coming to Thailand to get married to another foreigner would perhaps be the biggest milestone in your life. Why choose Thailand as your dream wedding destination? Among the many countries around the world, what’s with Thailand that it has been chosen by foreigners as a place to register their marriage? Getting married in Thailand is affordable. Expenses for a marriage registration is definitely a lot lower if you compare the cost of wedding preparation in North America or Europe. The marriage registration in Thailand process is quick and easy. Whether you are a foreigner and came from different parts of the globe or whether you are Thai national, the same rules and same process apply. In Thailand, you can make your dream wedding a reality. For your wedding ceremony and celebration you can choose a wedding theme your prefer, and decide your perfect wedding location. This is because the legal part of the marriage registration is different from the religious or cultural ceremony. So if you wish to prepare an elaborate ceremony, you may do so. Divorce or death Certificate if she had been married before which ended in either divorce or spousal death. This is a document you need to secure from your embassy showing you are free to marry. Different nationality may have different documents as a prerequisite for securing an Affirmation of Freedom to Marry. Retain the service of Siam Legal so you will be accompanied to your embassy and prepare your documents in your behalf. If your civil documents are in foreign language, it needs to be translated at least to English. The Affirmation of Freedom to Marry needs to be translated to Thai. The translated document needs to be certified as true and correct, and legalized at Ministry of Foreign Affairs. The wedding ceremony is different from the marriage registration at the local district. The latter is what actually matters, the legal part of the whole marriage process. Proceed to the Register Office, take all your documents with you, stand in a line and, when it’s your turn, submit your paperwork and pay the fee. 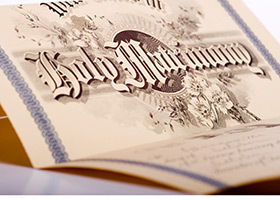 Once the officer approved and all documents are signed, the officer will issue your marriage certificate. That’s it, you’re legally married in Thailand.